I love Scottish oatcakes - they're so delicious, plain and hearty. 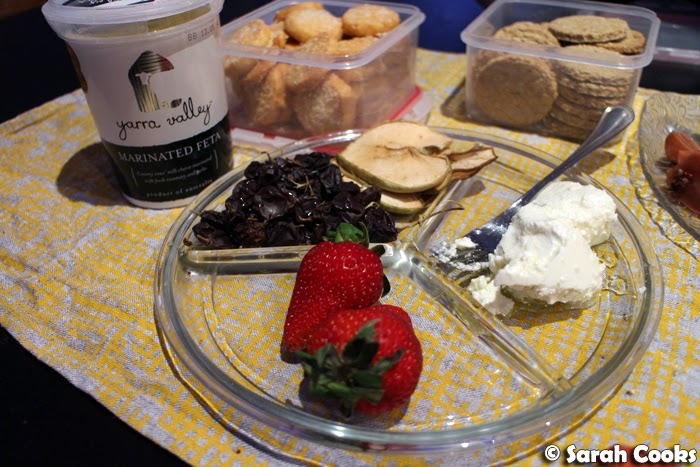 I especially like them on a cheese platter, but you can eat these oaty biscuits in any number of ways - with jam and butter, or even plain. Many years ago, I used to work in a fancy schmancy food store, and a sweet old lady came in once to buy a packet of oatcakes. As I scanned the box, I asked if she was planning to have them with cheese. "Oh goodness, no!" she replied, laughing. "I like to eat one each evening with a glass of water as I watch the news." 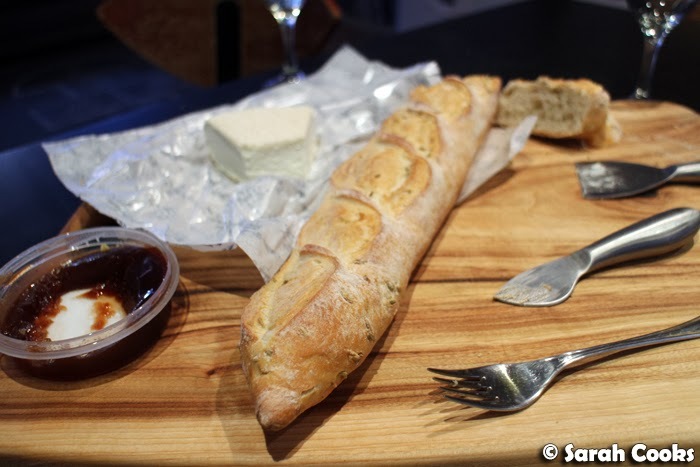 Anyhoo, as I mentioned in December's Unblogged Files, some friends hosted a CHEESEMAS party after Christmas, where we all brought cheeses and other fabulous tidbits and ate an alarming amount of cheese. I really wanted to bring oatcakes, but for some reason they're ridiculously expensive at the shops - something like ten or twelve dollars for a small packet. (I rarely bought them even when I used to get a staff discount). In contrast, a gigantic bag of oats is like, a dollar. Easy decision made - I baked them from scratch! 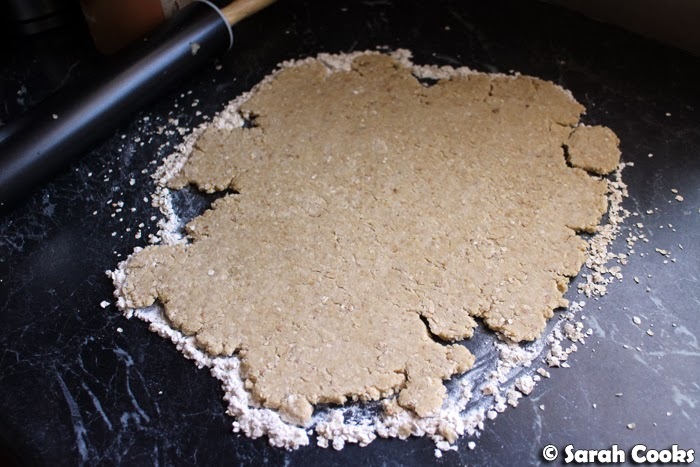 I googled a few recipes, and came to the conclusion that oatcakes are made much in the same way as shortcrust pastry (i.e. flour and butter with a little water to bind), just with oats replacing most of the flour and a lower ratio of butter-to-dry ingredients. I used a processor to rub the butter into the flour and oats, and to whizz up the oats a little - I used quick oats, but was still worried the dough wouldn't clump together otherwise. After the first biscuits were cut out, I found it quite difficult to bring the dough together and re-roll it, as it's quite dry. Hot tip: cut as many out of the first round of dough as you can! 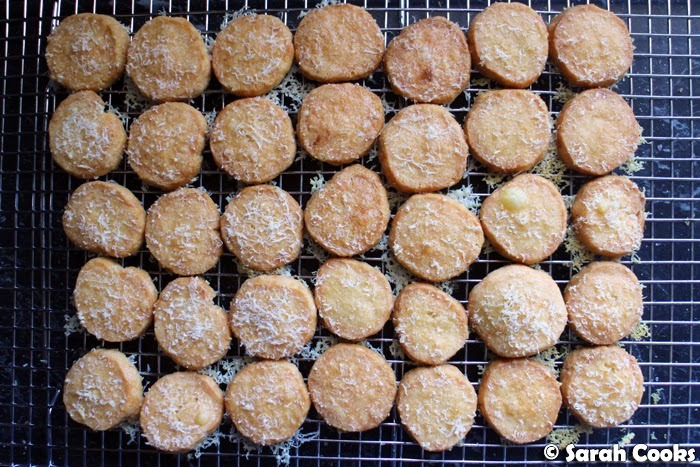 And because I don't know the meaning of the word "enough", I whipped up a batch of Nigella's parmesan shortbreads too. I used the recipe from Nigellissima, and just grated extra Parmesan on top for extra cheesy savoury goodness. These ones were, um.. less uniform looking, but totally delicious and compulsive. I definitely recommend making these for parties! (Or just to eat). 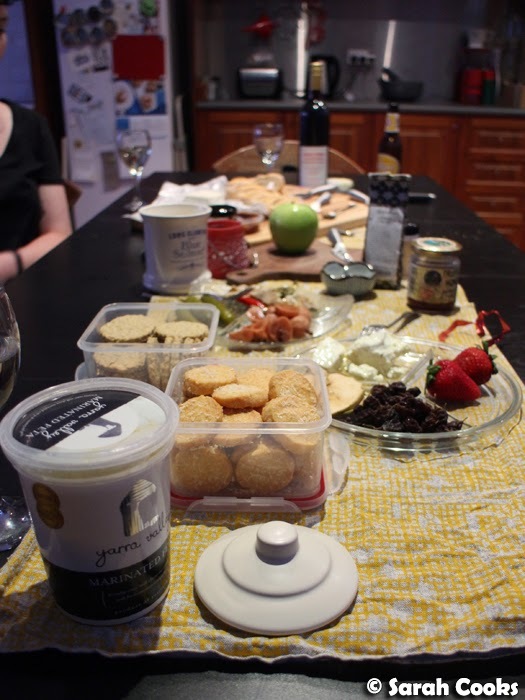 As for the actual cheeses, we brought some Yarra Valley Dairy marinated feta and a pot of Long Clawson Stilton, as well as a little bag of muscatels and dried apple slices. 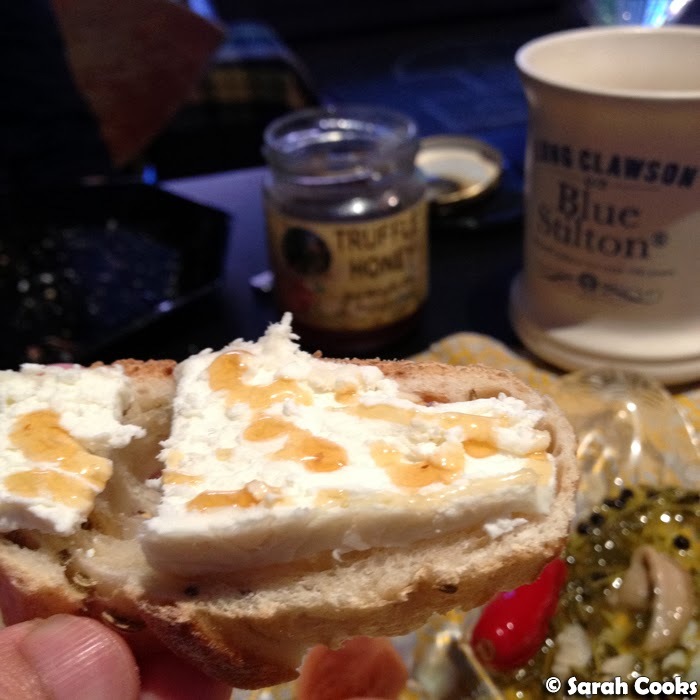 ... as well as a jar of truffle honey. (Potent and delicious). Amelia has also been going great guns pickling! 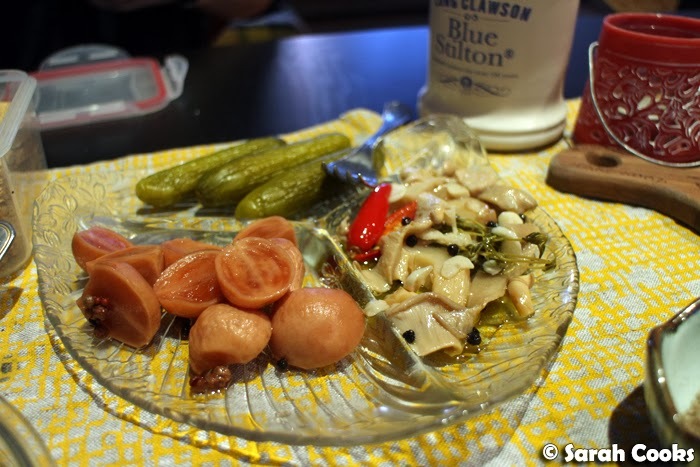 She made gherkins, pickled radishes (which tasted floral like lychees to me), and these awesome pickled mushrooms - from mushrooms that SHE GREW HERSELF. Get outta here! As for the oatcakes, I really liked them! 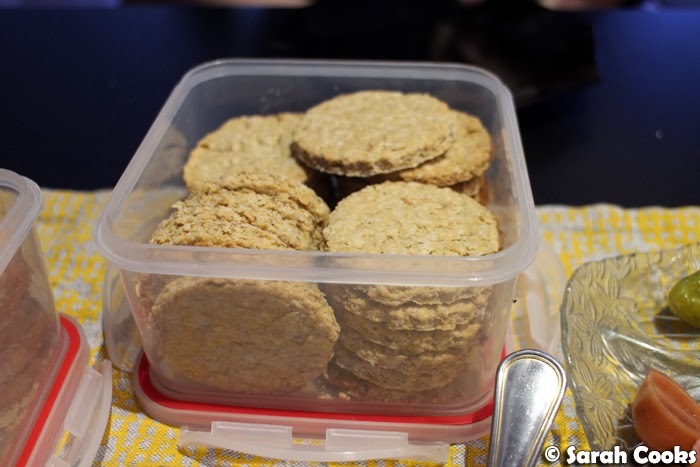 (And people recognised that they were oatcakes without my having to say anything - hooray!) They were oaty and slightly crisp, but sturdy enough to support the weight of all the cheese I kept piling onto them. 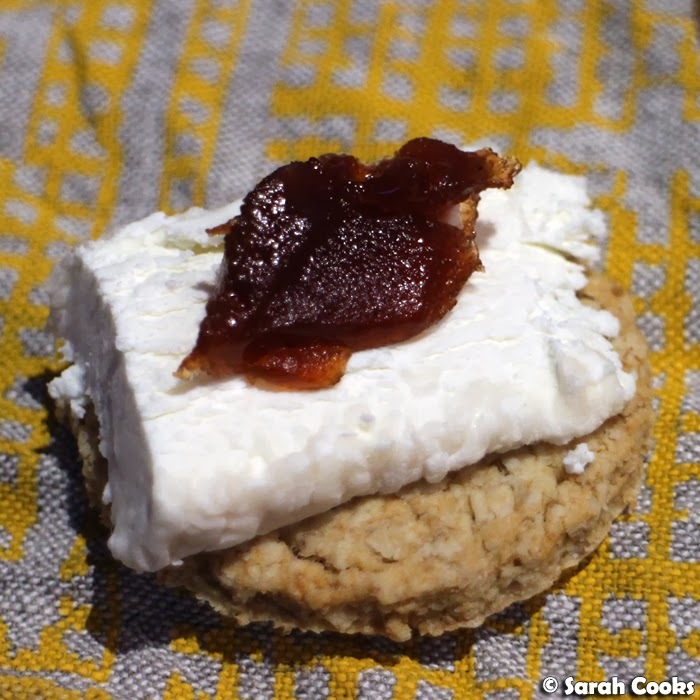 Everything you want in an oatcake. 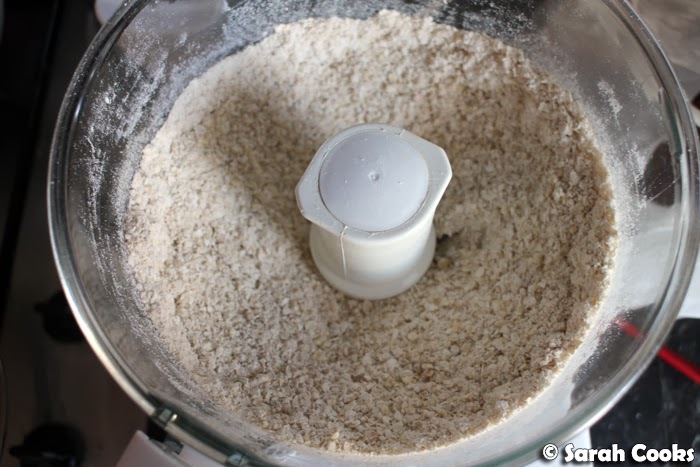 Place the oats, flour, bicarb, salt and sugar in a food processor. Whizz briefly just to mix. 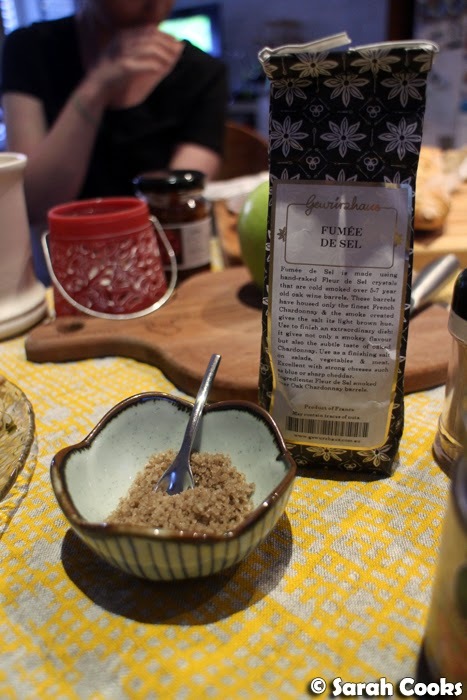 Add the butter and whizz again until the mixture resembles damp sand or large breadcrumbs. Tip the mixture into a mixing bowl, gradually add the 60 millilitres hot water and stir with a wooden spoon to mix until you have a rough dough. You may or may not need to add the extra water, depending on the oats and flour. 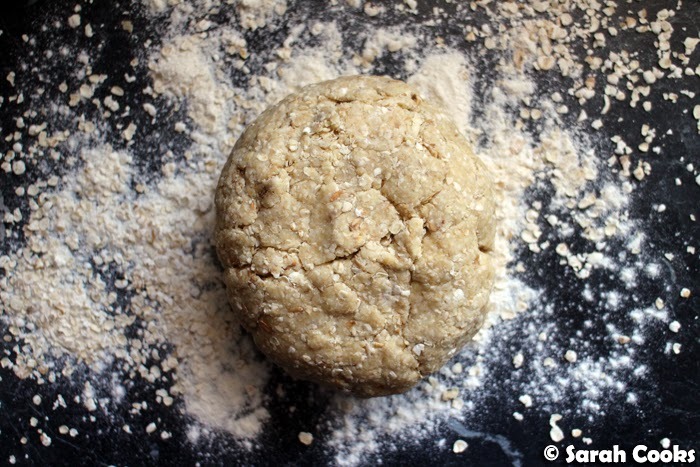 Sprinkle a work surface with extra flour and oats, and roll out the dough to approximately 1/2 a centimetre thick. Cut out with a floured cookie cutter and place on a lined tray. 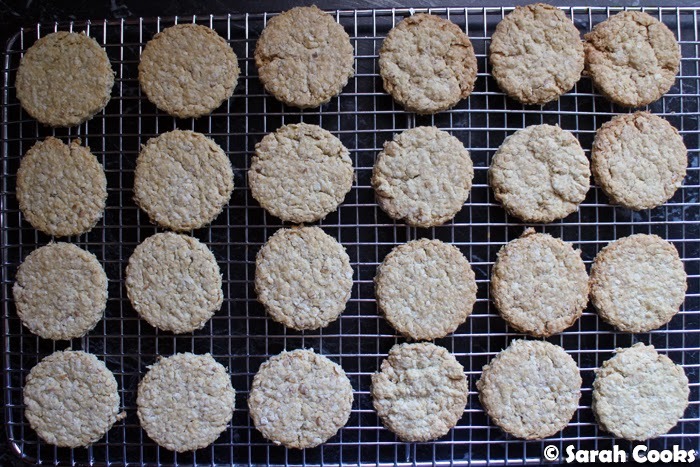 The dough is quite difficult to re-roll, so try and get as many oatcakes out of the first roll as possible. 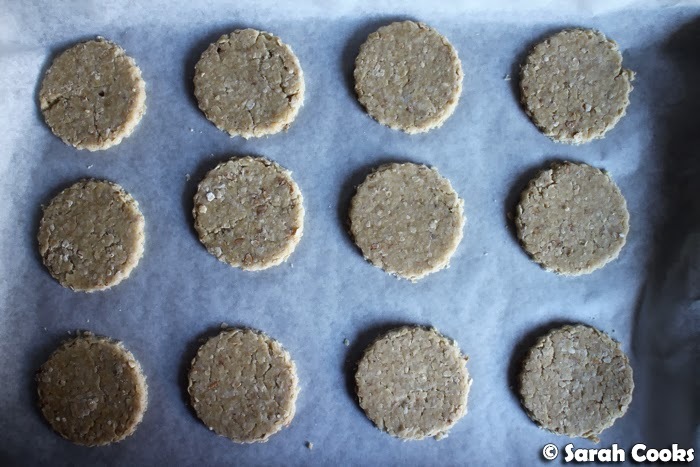 Arrange the oatcakes on lined baking trays, and bake for 20-30 minutes or until lightly golden brown. Allow to cool on a wire rack, before serving with cheese, butter, or alone with a glass of water whilst watching the news. Cheesemas! What a brilliant idea! I tend to have oatcakes with a fat slice of vintage cheddar, but you're right, they're ridiculously exxy! Long Clawson would be an awesome pirate name. Or for a cat. PS Peanut butter on oatcakes with dulce de leche. PPS I want to be at that party, time-travel style. Those oatcakes are beautiful - so uniform and just like you would see out of a packet.